Against all odds the poppy, the first plant to spring up in the morass of the Great War battlefields, thrived bringing life, colour and hope to those still fighting. That inspired Canadian physician Lieutenant-Colonel John McCrae to write on 3 May 1915 what is now one of the most quoted war poems, ‘In Flanders Fields’, first published later that year, on 8 December, in the magazine Punch. His words led eventually to the poppy being recognised as a symbol of remembrance to this day. An American lady, Moina Michael, first championed the wearing of a poppy in remembrance in 1918. 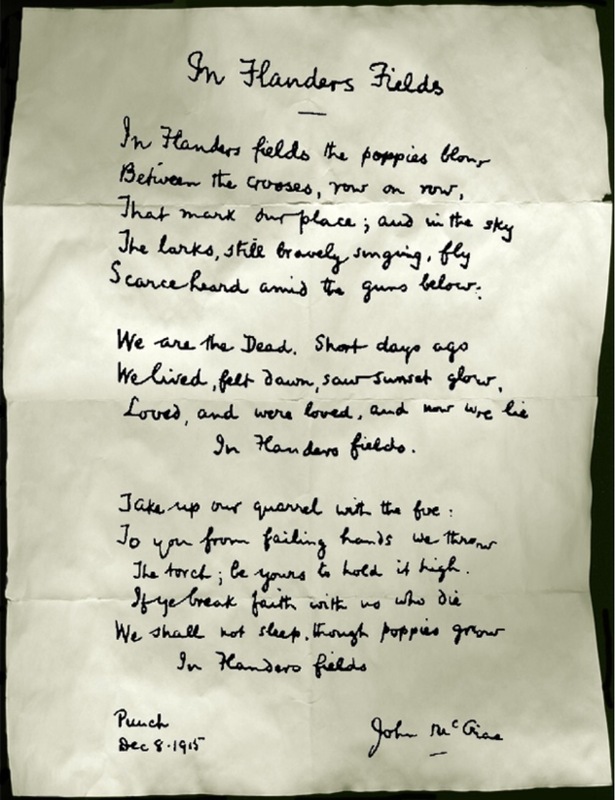 After reading John McCrae’s poem in a journal she wrote her own verses in response, promising always ‘We shall keep the faith’ with those who had died. After years of campaigning, by 1921 the poppy had become the United States’ national symbol of Remembrance and the emblem for The Royal British Legion, which held its first Poppy Day on 11 November that year, selling red silk poppies and donating the proceeds to ex-servicemen in need of welfare and financial support. Poppy Day has continued each year since and now tens of millions of paper poppies are made every year. Every donation helps our armed forces community to live on.